I introduced ExamDiff and TKDiff in my previous post but what is really missing for these 2 tools is the programming language editor (e.g. C++, Java and etc.) You can compare but you can’t highlight those programming syntax and edit those files. This is because both tools are just mainly designed for file comparison tools and not designed for you to edit the files. The good news is Notepad++ can do both! 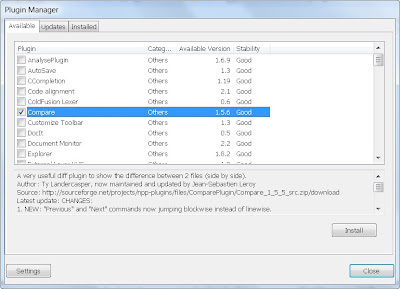 With Notepad++, you can edit almost all programing and scripting languages and most importantly you can perform file comparison as well without open another tools or software! 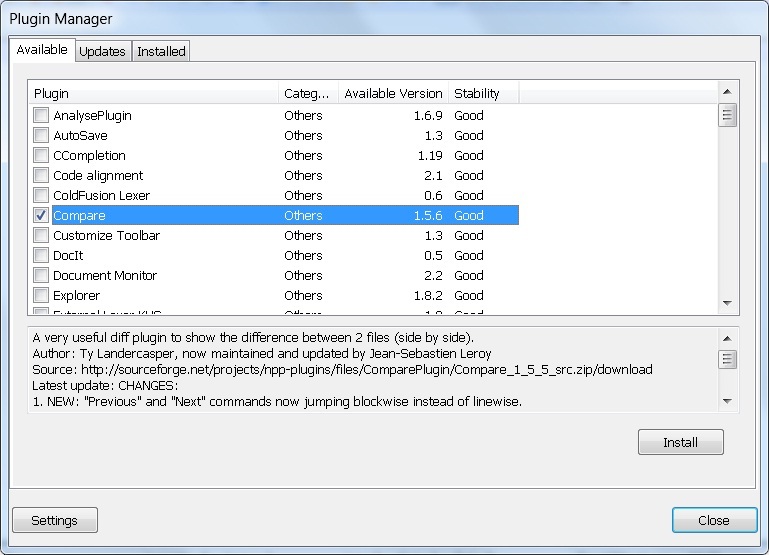 To download this Notepad++ freeware, please go to notepad-plus-plus.org. Open files that you would like to compare. Go to "Plugins -> Compare -> Compare". Good: What is interesting here is you can compare more than 2 files at once! This is really cool but may not be practical as I seldom compare files more than two. Perhaps this could be something useful to you?